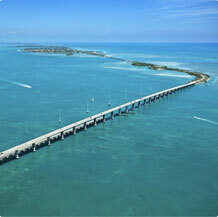 PGA was established in 1970, with one twenty-foot straight truck and a commitment to provide next day delivery service to all points in the Florida Keys. During its infancy the founder George "Ziggy" Tziganuk, was driver, dispatcher, salesperson and business manager. Over the next forty years, PGA experienced continuous growth with the addition of tractors, lift gate trailers, professional drivers, and a Miami warehouse. Ziggy says, "throughout the years, right up to today's deliveries, we never lost touch with our original goal. To provide Palm Beach to Key West with daily, dependable and economical freight services."